Spent the past weekend @ the Garden State Plaza in Paramus, NJ performing at the Sean Kingston/ Nina Sky show sponsered by Seventeen Magazine. I provided and set up: 7 speakers, 3 wireless mics, turntables + mixer, and a soundboard, needless to say.. it was a b#*th!... Still it was good fun :-) and i got to meet the artists as well as their DJs.. DJ Stealth Bomber reppin Nina Sky & DJ Kelo with Sean Kingston. Here's me with NIcole & NAtalie... hence Nina Sky. They were chillin... real down to earth. Seventeen Magazine... whenever you need a DJ..please call me because the experience is great & the $$ is even better. Both performances were good.. shouts to my boy Fogel for the helping hand. 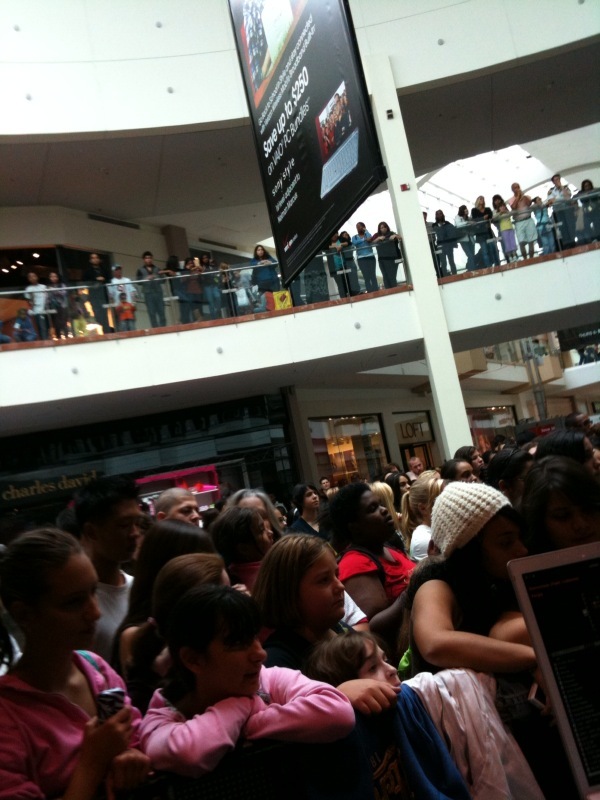 Here's a view of the crowd.. there were ALOT of high pitched voices, my ears are still ringing. And the Garden State Plaza is a big mall.. so the music was echoing every which way.